—With happy days we’ve known. —I’ll catch a glimpse of you. —Will be a hallowed spot. —Will buoy me on with hope. With the passing of George H.W. 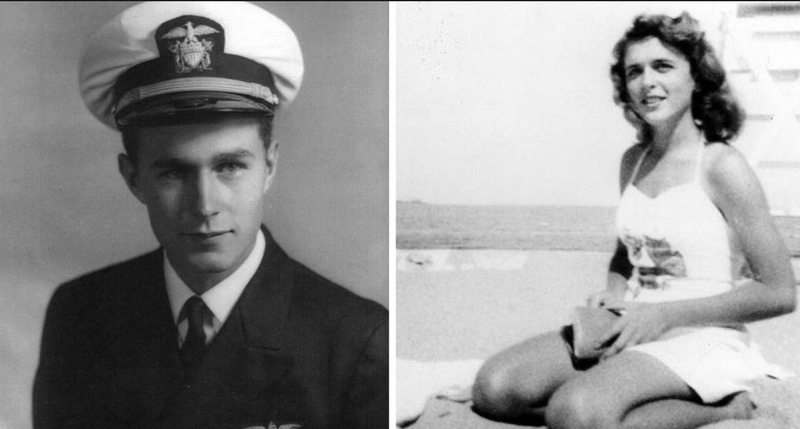 Bush, I am reminded that the love of his life, Barbara, died only 8 months ago. I recall an interview she gave, saying her husband was the first boy she ever kissed, and how she loved him more at the time of the interview than when they first married. 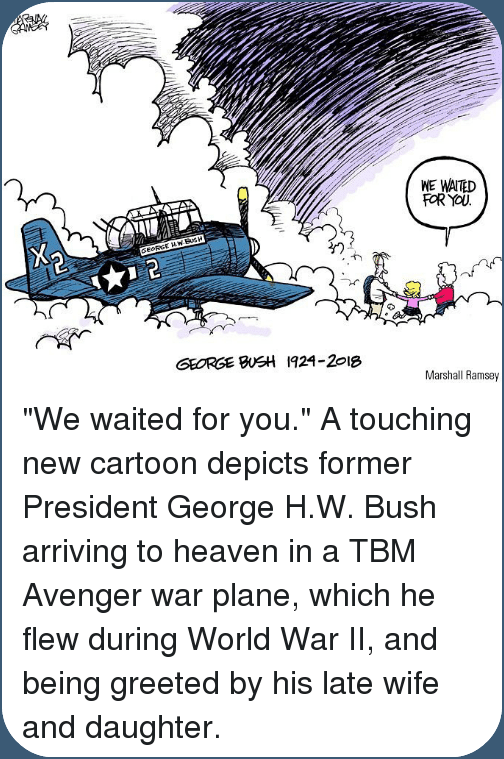 Love or hate his politics, the Bushs loved one another and this nation. Their love story and his recent passing reminded me of a poem, “Should You Go First.” I found the poem and attached a cartoon. The child you see is their daughter, whom they lost early in their marriage. I am reminded that there is more to life than conflict and despair.